Enhance the color of concrete floors quickly and easily with Westcoat Fast Stain – an environmentally friendly, solvent soluble, deep-penetrating powdered dye. For use on interior concrete, Fast Stain dries to the touch in seconds when mixed with acetone and offers a quick and easy installation process. Fast Stain can be used as a primary coloring system and is perfect for polished concrete or grind and stain systems. 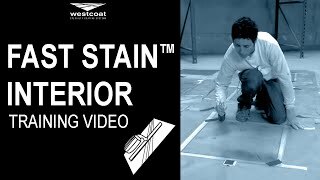 Westcoat’s Fast Stain Grind & Seal System is a process of grinding the concrete and applying Westcoat’s acetone dye and sealer. There are no acidic ingredients used, and is low VOC making it a more environmentally friendly system.